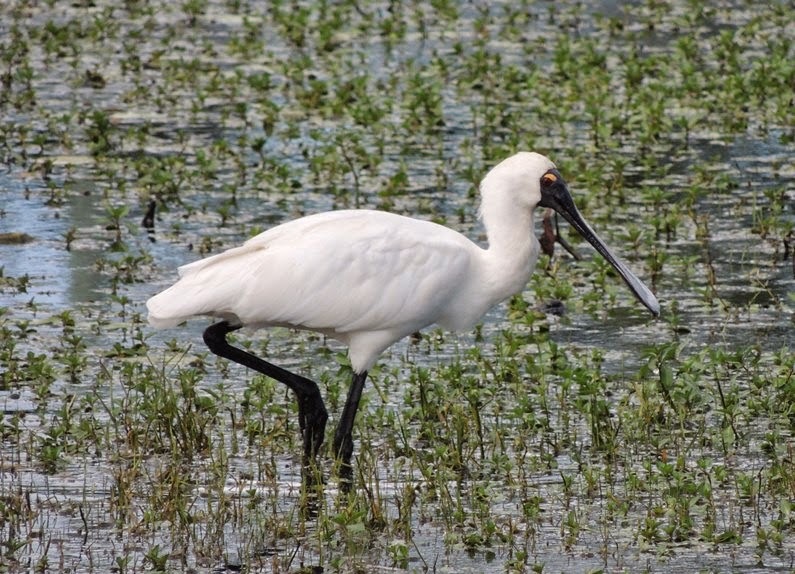 Welcome to Birdlife Australia - Sunshine Coast Sub - Branch's Blog. We are interested in Birds, Birding and Bird Conservation. Birds are in our Nature! PLEASE consider joining Birdlife Australia and help Australia's birdlife. Calling all SC members please contribute photos, articles, opinions, rare sightings for this blog please! It is very, very nearly September and I would like to announce our next two outings! Our first outing is on the Saturday 8 September meeting at Toorbul [southern end of the esplanade] at 7am. Hopefully we will be able to note some of the first migrants arriving. The high tide is scheduled for 8-45am so we should have some time as the birds fly in to the roost as the tides rise. Please remember to be sun safe and also bring chairs and morning tea. Scopes are a useful addition for wader watching as well. I hope to pen an article, hopefully to be published in local papers, about the day and our counts. Also in September Paul Jensen will be hosting at his local patch, Park Lakes at Bli Bli, on Wednesday 12th. Please meet at 8am at the park [adjacent to the child minding centre]. Some good birds have been seen here recently including Latham’s Snipe, Buff banded Rail and Spotless Crake. Our last weekend away, a little jaunt through Kilcoy, Mt Mee, Lake Samsonvale on the Saturday and Sheep Station Creek and Brolga Lakes on the Sunday resulted in some excellent birds including Little Eagle, Pallid cuckoo, Yellow rumped Thornbill, Great crested Grebe, nesting White throated Tree creepers and Fuscous Honeyeaters, Painted Buttonquail, White bellied cuckoo Shrike [including an uncommon dark phase bird], Pink eared duck, Glossy Ibis, Dusky Woodswallow, Baillon’s Crake, Latham’s Snipe – to name a few…. Hopefully you can plan to join a weekend away next year…. This Saturday there is our weekend outing in August. Later in the month on the 15th there is a mid week walk around Mapleton Falls NP. And later that same week we have a weekend away around some sites between here and northern Brisbane. Regarding the weekend away there are still 2 positions remaining – so please consider!! To book your place on that weekend away please email me asap. RE - The outing on Saturday; it is to Eudlo Creek (and surrounds), we will walk along the unmade portion of Eudlo Creek Road east to Eudlo Flats Road and possibly through the vacant property which fronts Malones Road. Meet at the end of Malones Road (off Eudlo Flats Road) Kiels Mountain. Please meet at 8am. The walk will be led by Sunshine Coast Council ecologist John Birbeck. As usual please bring morning tea, chair and be sun safe. Please consider asking new folks to come along and try birding. In late May, ‘18 the Sunshine Coast sub branch of Birdlife Australia held its inaugural Mini Congress. This was a one-day event featuring a variety of speakers who presented about birds and / or conservation themes; especially those relevant to Sunshine Coast folks. The 80-strong crowd – a sell-out- enjoyed the presentations, the venue and, it’s fair to say, the catering! Suffice to say the Congress can be considered a success and hopefully, with a few considerations, will be repeated in the future. The Congress was conceived and planned by Ken Cross and John Birbeck as a way of educating and entertaining local Sunshine Coast members in addition to be a catalyst to start more substantive conversations about conservation in our area. And so, the Congress was not-too-imaginatively titled Birdlife and Conservation, Sunshine Coast. All the presentations reflected our title. Our two Keynote speakers, who both spoke about birds, were simply excellent. Dominique Potvin, a Sunshine Coast University lecturer in Animal ecology and behaviour, Ornithology and Urban ecology, spoke about modern influences on the evolution of bird song. Dominique is originally from Canada and her speech presented information and data from both Canada and Australia [and even New Zealand]. The talk delivered some information about bird song and calls generally and the modern impact of urban noise on bird song. Urban bird expert, Darryl Jones, from Griffith University, after making some welcome off-the-cuff comments about the importance of local conservation community groups, presented his summary of the phenomenon of Bird Feeding using examples and case studies from Europe, North America and here in Australia. 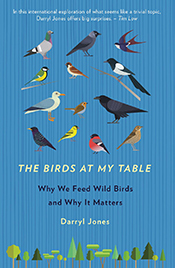 It is impossible to summarise an hour-long presentation so I won’t try however with The Birds at my Table. Darryl is currently assisting Birdlife Australia in developing guidelines for bird feeding in Australia. The Congress started with a presentation by well-known birder, blogger, journalist and conservationist, Greg Roberts about the birds and the ultimately successful campaign of the protection of the Yandina Creek Wetlands. The wetlands, discovered and championed by Greg, have now been protected via their purchase by Unity Water. This is an important story that illustrates the importance of an individual with determination and resilience to create and drive an education and publicity campaign for a positive conservation outcome. It also emphasises the importance of local community groups. Sadly, it also a story that suggests how our environmental laws are ineffective in encouraging government to acting boldly to protect birds and their habitats. This was a theme re-visited by Judith Hoyle, Birdlife Australia Southern Queensland Convenor, in one of her presentations. Judith Hoyle presented twice! Her first presentation was the bad news… the failure of environmental laws. The case of Toondah Harbour was presented; despite the fact that this area ticked a large number of boxes signifying it deserved protection on environmental grounds development was granted. Her second talk was more clearly good news; a presentation about a new sustainable development at Deception Bay, Brolga Lakes. This development, in addition to being self-sufficient with on site water supply, sewage treatment, solar farm and batteries and community gardens, offers environmental lands for Birdlife Australia Southern Queensland plus a building that offers both office space and interpretive information. Considering conservation on the Sunshine Coast it was important to consider what has already been happening and to consider some successes. To that end Narelle McCarthy was invited to speak on behalf of the Sunshine Coast Environmental Council [SCEC], John Birbeck from SC Council about land acquisitions using the environmental levee from rate payers, Julie O’Connor, also from Council to discuss a range of incentives for land owners to pursue positive conservation outcomes [in particular, the Land for Wildlife scheme which has the most successful take up on the Sunshine Coast than anywhere else in Queensland]. Susie Duncan, of Hinterland Bushlinks, [an organisation working to promote connectivity between environmentally significant habitats on the Sunshine Coast hinterland] spoke of her organisation’s work as well as the preservation of Curramore, a property purchased for biodiversity protection by the Australian Wildlife Conservancy [AWC]. Our final presenter was Dr Scott Burnett, from the University of the Sunshine Coast, who gave a personal account of declining taxa on the Sunshine Coast region. Scott warned we are at risk of losing both rare and common species due to fast growing populations, the development of roads and declining areas of habitat of significant size; especially in areas east of the highway. He encouraged the audience to contribute to citizen science so we can share accurate information about the distribution of species and also to be involved in community groups lobbying for protection. From my perspective it was a long yet rewarding day and I learned valuable nuggets of information from every speaker. Not enough thanks can be given to our speakers. John Birbeck is mentioned twice because of his [huge] efforts in planning and organising the whole thing. Steve Popple and Carol Popple were amazing [as usual] helping with compiling all the registrations and acting as welcoming committee and, most importantly, keeping me away from handling money! Thanks also goes to the Friends of the Botanical Gardens who helped us arrange the congress venue and supplied us with morning tea and lunch. Finally, thanks to Robyn Combes for taking pics from the [mini] Congress, many are attached here. Please join us for our first Saturday 24 February Club Outing at the SC Council’s Scarffe Road Reserve at Glenview. Please meet at 7am and join Ken Cross & John Birbeck who will lead the walk. One of the Council’s new reserves - Scarffe Road Glenview. This reserve is fenced off and not open to the public, it includes a large quarried lake including adjoining maintenance roadways and is surrounded by riparian rainforest. It also adjoins existing Mooloolah River Esplanade Reserves. The entrance gates are located at the end of Scarffe Road before the bridge (private property), there is plenty of parking along Scarffe Road. As usual please remember to bring a chair, cuppa etc for the bird list post walk. And remember to be sun safe. Just a quick note about upcoming events. Kureelpa Falls track: Meet at the very end of Kureelpa Falls Rd for a 7.00 am start. Park along the road verge and leave space at end of road for cars to turn around. There is also a private driveway here, we do not want to block access. There are no toilets. Closest facilities are at Kanyana Park near Dulong Lookout. Please bring chair, water, thermos etc for post walk bird call. Thursday evening the 22 February – Please email your interest in participating in this survey to Ken at friarbird43@bigpond.com ASAP. 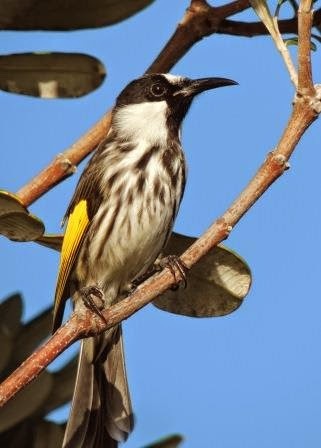 Please remember that access to this Unity Water Property is only with approved surveys conducted by Birdlife Australia. Priority will be given to those members who have attended the workshop. Ken & Megan Cross, Steve & Carol Popple, Ray Devine, Jamie Walker, Michelle Grant, Alison Skelhorn, Marilyn Shrapnel, Bernadette Jeffrey, Vince Lee, John Kooistra, Tom Corrigan and Russell McGregor. We have room for only two more – if you would like to join this trip please email Ken at friarbird43@bigpond.com ASAP. MINI CONGRESS – MAY 26, 2018 - Maroochy Regional Bushland Botanic Garden – Arts and Ecology Centre – MORE DETAILS VERY SOON…..
JUNE WEEKEND AWAY 2018 - PLEASE ACT TODAY!! I appreciate that this is a long way in the future however I would like to try to sort it out now and secure accommodation for our first weekend away in 2018 to Hervey Bay so I need people to commit ASAP. It is guaranteed to be an interesting weekend away visiting some fascinating new sites and some good birds as well! Friday June 22nd 2018 – depart Nambour at 5-30pm [perhaps for Northern dwellers we can arrange some highway pick ups? The exact cost will need to be worked out but it will obviously be a similar ball park figure to previous trips. In our bus we can take only a maximum of 16, including me to ensure enough space for lunches and luggage. The bad news? I will need a $100 buck per person with your booking to confirm and hold accommodation. With a cancellation this will only be refundable if someone can be found to take your place. PLEASE REPLY TO THIS EMAIL TO BOOK YOUR SPOT AND I WILL SEND DETAILS OF WHERE TO SEND YOUR DEPOSIT. I MUST HAVE THE TRIP FULL WITHIN A FORTNIGHT! This blog does not represent the views of Birdlife Australia.. Watermark theme. Powered by Blogger.